Listen to a radio interview at Vroege Vogels (in Dutch), from June 2015. Together with Willem-Pier Vellinga, Sander Pieterse and Jonathon Jongsma, I run xeno-canto.org, the world's largest community database of bird song. 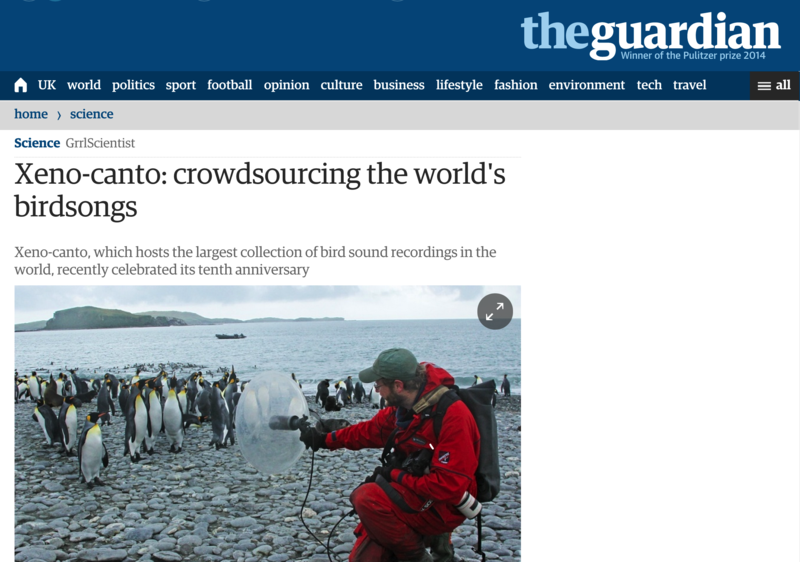 It currently features about 430,000 recordings of more than 10,000 species of birds, shared by nearly 5,000 recordists from around the globe. It is probably the collection with the greatest number of bird species on record on the planet. 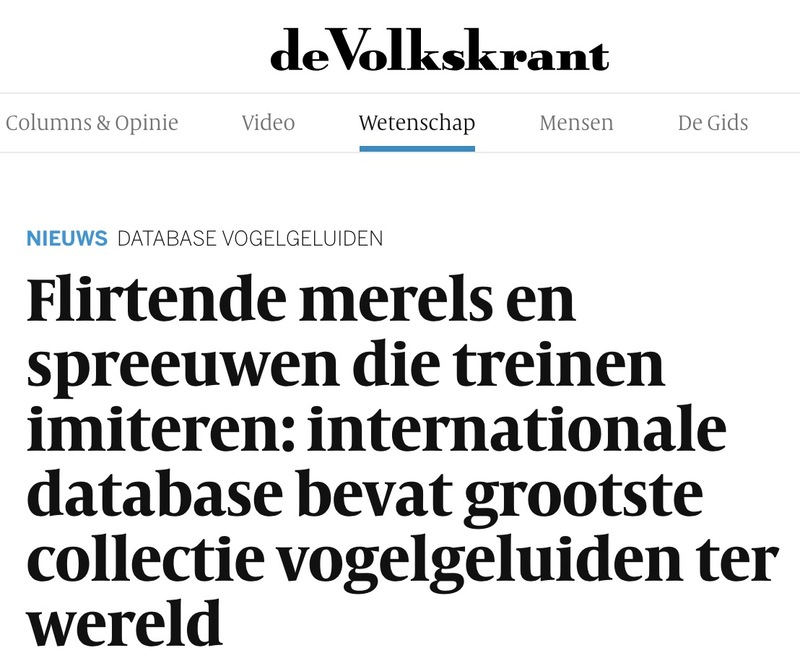 It is generously supported financially by the Naturalis Biodiversity Center. Recordings have been used in about 2000 publications (Google Scholar count, Jan 2019). Recordings are used for surveys, taxonomic descriptions, conservation work, behavioural and evolutionary analyses, and also for automated recognition purposes. There are many apps using XC recordings, including BlueBill, Vogelgeluiden, BirdSounds, Bird Calls, Binatra, Birds of New Zealand, Birds of North America and others. Since 2014, Xeno-canto has also been participating in the yearly BirdCLEF challenge, in which computer science groups from around the world compete to identify bird species using machine learning. If you have made any recordings of birds, consider sharing these on xeno-canto. Registration is free!